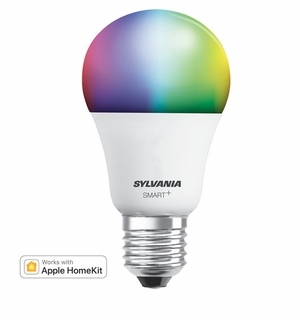 The SMART+ Apple HomeKit-enabled LED Full Color A19 provides both white and full color options for your HomeKit set up. Smart Controlled Lighting. Use your Apple device to create customized lighting scenes using the Apple HomeKit app. Full Color Capability. Experience high quality adjustable white (1000K – 6500K) and over 16 million full color options..